Property 5: Beautiful farm with lake view, quiet, close to ski organizations. 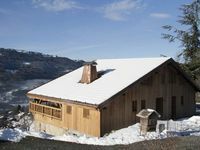 Property 21: Prestige rental near Megève with personalized services. Charm, relaxation. Property 22: "LE GRAND" 12 pax NEW ! !